The offered assortment of products is sternly checked, examined by the quality experts to maintain the set industrial standards. Maintaining high standards of our extensive array of products, we focus on the quality of raw inputs and material used at the initial stages. With this, the final product comes out to be the finest. 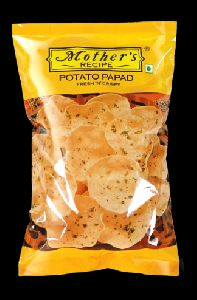 Our Potato Papad is made using 100% natural ingredients and has a distinct taste and flavor. 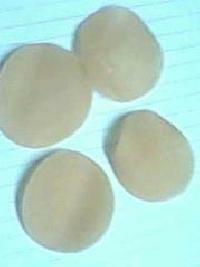 This product is oil free and testy most sealing in hotel line and in local area this product eat in snack with other any food. 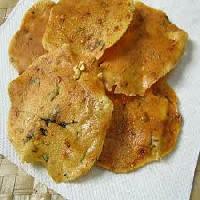 We make available Potato Papads in special packaging which keeps its taste & quality intact. 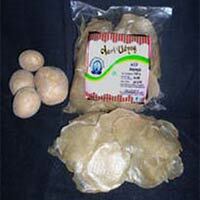 With us, buyers are free to place orders and can expect timely deliveries of the same. We are supported by a well-managed and automated warehouse system wherein we store the entire lot in a secured manner. The automatic handling, storage and distribution of the goods thus become an ease. As a high-flying name, we facilitate our clients with the methods like online payment gateway, bank deposits, cash, electronic funds transfer and various others. 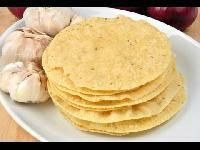 Also, we guarantee confidentiality and secure transactions. We have hired a team of professional warehousing personnel who takes care of the entire lot and keep it protected. Our unit is installed with all necessary amenities required for safe storage. For the safe storage of our offerings, we have installed our own storage facility. Laced with modern amenities, our facility helps us in furnishing urgent requirements of the clients at a time. Buyers can rely on us for on-time delivery as we are assisted with up-to-date transit and logistics services. Potato Papad is considered as one of the preferred evening snacks across India. 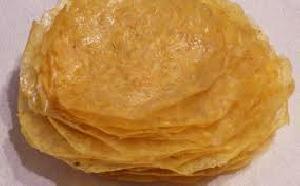 We are into manufacturing and supplying Potato Papad. 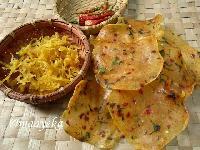 Exceptionally tasty, our Potato Papad is produced by using organic potatoes only. 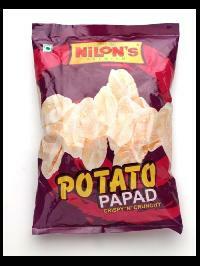 We assure that our Potato Papad is closely packaged providing complete safety from bugs, water and air. 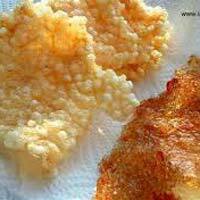 Here, sago flour is made into a dough with mashed potato and water. 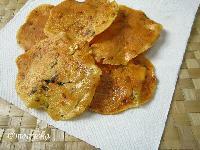 It is then rolled out into papads, and left in the sun for drying. 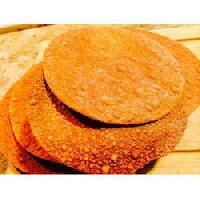 From markets of Maharashtra(India) to any other, we are capable of providing our product to the buyers anywhere. 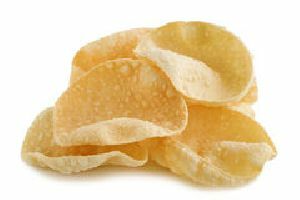 Our company has witness meteoric rise as Potato Papad supplier, owing to our ability to cater to bulk requirements with ease. Our payment procedure can be both physical and electronic. Physical modes can be cash payment, bank deposits and others. On the other hand, our electronic modes include instant payment gateway. 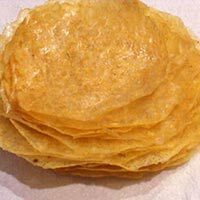 Rely on us to buy the best in class Potato Red Chilli Papad; we are a notable Supplier in this domain. 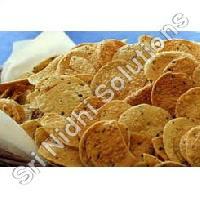 We hold expertise in manufacturing and exporting delicious Organic Potato Papad . 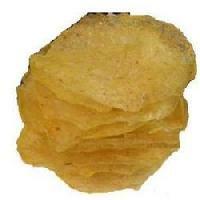 Organic Potato Papad, that we offer, is prepared in our well-equipped production unity. 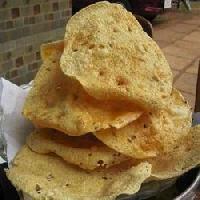 Complete cleanliness is maintained, and thus Organic Potato Papad is absolutely hygienic. 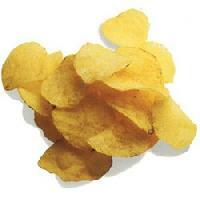 Clients can avail premium Organic Potato Papad from us at very reasonable prices. 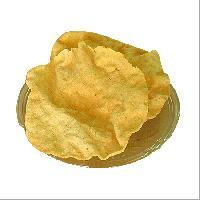 Gajab Foods - We are a prominent name, which is engaged in offering high quality potato papad in India.